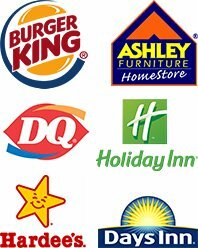 As part of its commitment to providing contractors with everything they need to rapidly grow in the commercial roofing industry, Choice Roof Contractor Group has established relationships with the well-respected companies below. 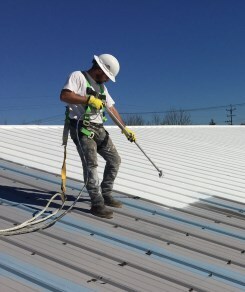 To learn about the other ways we help our nationwide group of commercial roof contractors, visit our Contractor Support Page. Intech Equipment & Supply is a full service spray foam equipment integrator and parts supplier, offering equipment, parts, turn-key mobile spray systems and expert technical assistance. Their main customers are commercial roofing contractors, insulation contractors, and the materials suppliers that serve those customers. 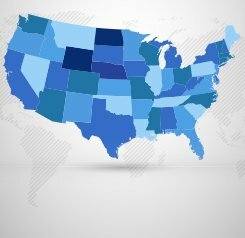 Intech maintains six facilities in three different time zones across the country, from New Jersey to California. This translates into extended business hours for order fulfillment as well as customer service and 24/7 technical support. 400+ years of experience back this company. For more information, visit the Intech Presentation. Mention us for a discount! Top Roof Marketing is the only full-service marketing company that exclusively serves the commercial roof contractor industry. As a result of its specialized focus, the company thoroughly understands the unique challenges of increasing market share in this particular field. Top Roof Marketing’s team of professionals offers commercial roofing companies the very best value when it comes to marketing services – getting the greatest results. For more information, visit the Top Roof Marketing Website. Strategic Response Partners is a rapid response team of experts specializing in disaster preparedness, response and property restoration resulting from fire, water, wind, hail, storm damage, and other event driven disasters providing complete disaster project management for residential, commercial, industrial, institutional and historical properties. For more information, visit SRP Website. Conklin is the original inventor of the white, highly energy-efficient, acrylic roofing systems. Changing the commercial roofing industry forever in 1976 with the introduction of Rapid Roof, the company pioneered the cool roofs industry with dramatic innovation. Today Conklin continues to set the standard with excellent products and an unbeatable reputation for quality. Over 2 billion square feet of Conklin roofing systems has been installed nationwide, a testament to the company’s product ingenuity and trusted reputation. The 35-plus years of innovation behind Conklin roofing systems make them the best choice for virtually any roof project. For more information, visit the Conklin Overview Page. ELB Consulting provides fully engineered and accounted cost segregation analysis. The company has helped clients nationwide defer billions of tax dollars by using “Detailed Engineering-Based Studies” to accelerate the depreciation of expense deductions. The studies produced by ELB’s in-house team of engineers, accountants, and construction professionals are able to stand up to IRS scrutiny and assessment. For more information, call (972) 363-3186. Mention us for a discount! Followup CRM was specifically made for the construction industry. With this online software, contractors can track their sales pipeline, view reports, coordinate workflow, keep track of projects, add notes to current and prospective clients, and setup follow-up reminders. There’s also the ability to set different security levels and comes with an online training portal. For more information, call 954-906-9665. Mention us for a discount! Steve Garlock Equipment, Inc. is authorized for sales, service and rentals of Leister Hot Air Tools. The company is a premier provider of new and used roofing equipment and specialize in a full line of commercial roofing equipment products manufactured by Garlock Equipment Co. and its line of Winco generators will meet/exceed all of power needs. The tools provided by Steve Garlock Equipment are necessary for proper installation of the Conklin® Flexion single-ply membrane. For more information on ordering equipment, call 800-670-5583. The Voss Law Firm helps policyholders who are unfairly denied claims. When an adjuster is unreasonable, this team of insurance claim attorneys helps business owners resolve disputes with integrity. Mr. Voss, the founding member, has been recognized in national and local publications such as Forbes, Inc. 500, H Texas, The Legal News, Houston Press and Texas Monthly. The company represents clients on a local, national and international basis. For more information, visit The Voss Law Firm website. Accu-Rix Software’s flagship computer program, A.R.S. Contractor, was designed by contractors for contractors. A construction management and bidding software, A.R.S. Contractor provides customer resource management (CRM), job cost accounting, profit & loss statements, customizable interface, personalized reports, and invoice management. Accu-Rix provides the only customer management software tailored for contractors who use Conklin roofing systems. For more information, watch the A.R.S. Contractor Promo Video.